Sewing storage becomes an issue, sooner or later, for everyone who sews. Fortunately there are a number of handy storage units on the market to make things simple. If you are just learning to sew, you may not have that many things to store and organize, but, as any experienced sewer will tell you, eventually you’ll have quite a collection of bobbins, thread, fabrics, notions and sewing tools and accessories. Art Bin Super Satchel Box with Removable Thread TraysSatchel box with 2 removable sewing thread trays. 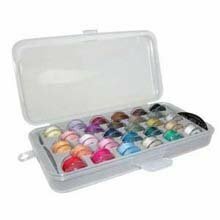 Bobbin Organizers – 2 boxes Bobbin Organizers – each box holds 28 bobbins. Set of 2. 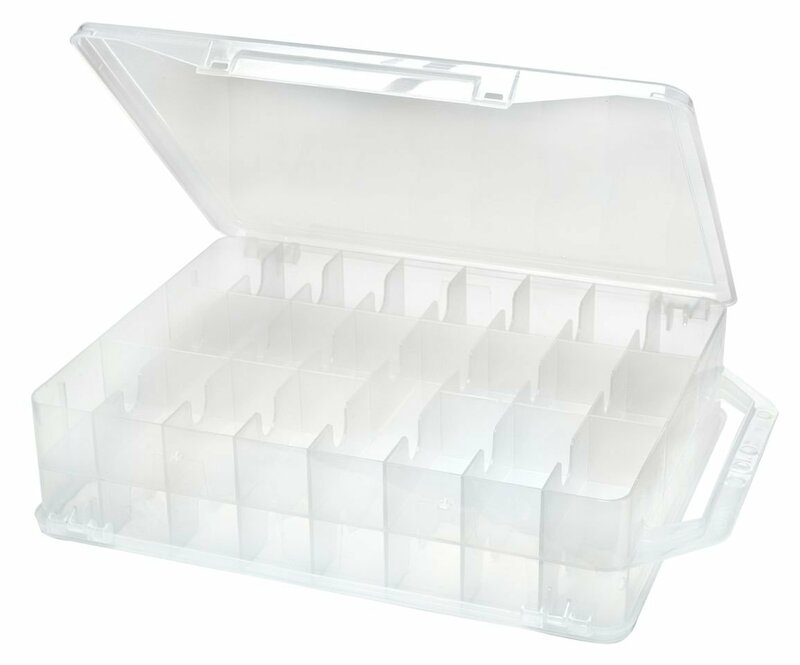 Creative Options Thread OrganizerDouble sided with 46 compartments to hold spools, floss, bobbins, and small embellishments. 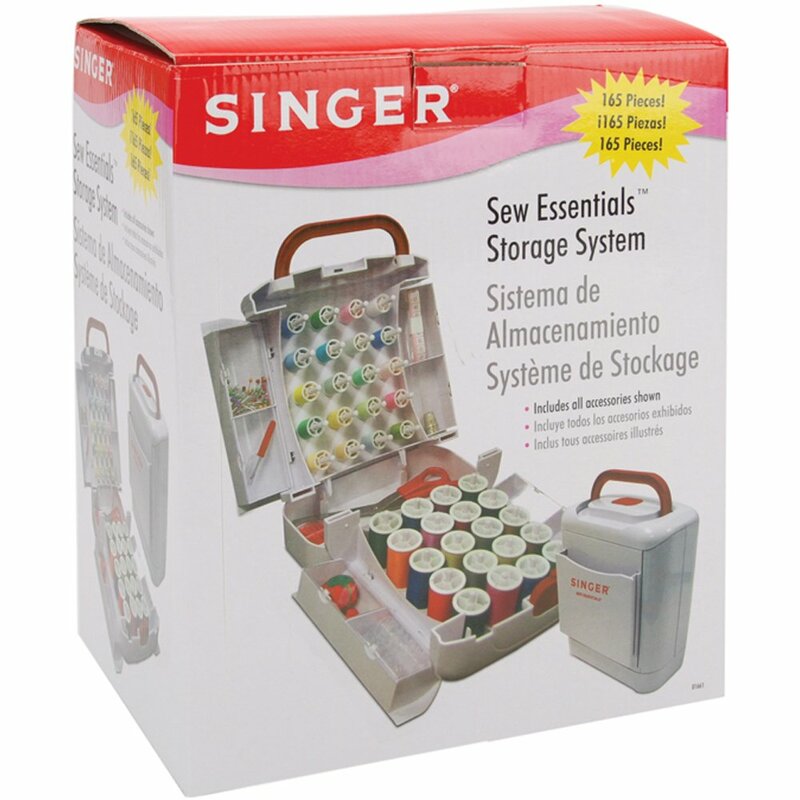 Singer Sew Essentials Storage System, 165 PiecesDurable plastic case and quite an assortment of sewing notions. 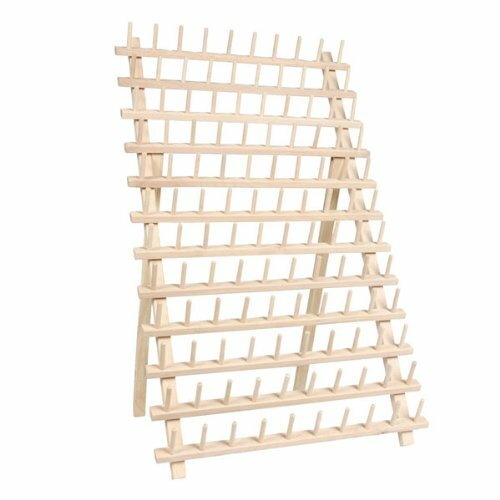 120 Spool / Cone Wood Thread Rack – By ThreadartLarge hardwood rack holds 120 spools (60 spool version also available). 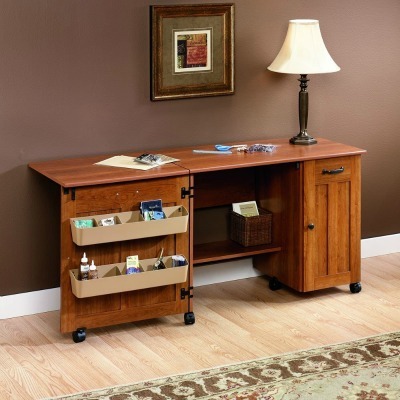 Sauder Mobile Sewing Craft Table – Cinnamon Cherry A great addition to your sewing/craft room. 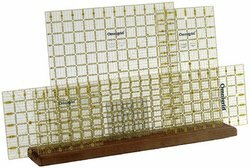 Omnigrid Wooden Ruler Rack Nice way to organize your rulers—has 5 slots. 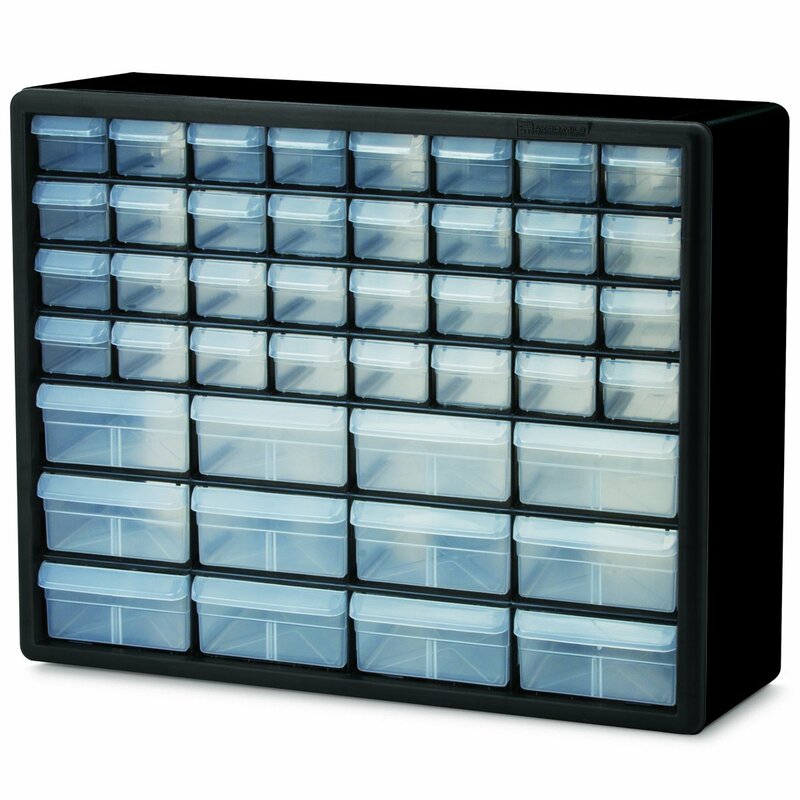 Akro-Mils 10144 44 Drawers 20-Inch by 16-Inch by 6-1/2-Inch Craft Cabinet Sturdy storage for a variety of sewing notions and tools—12 larger drawers and 32 smaller ones. 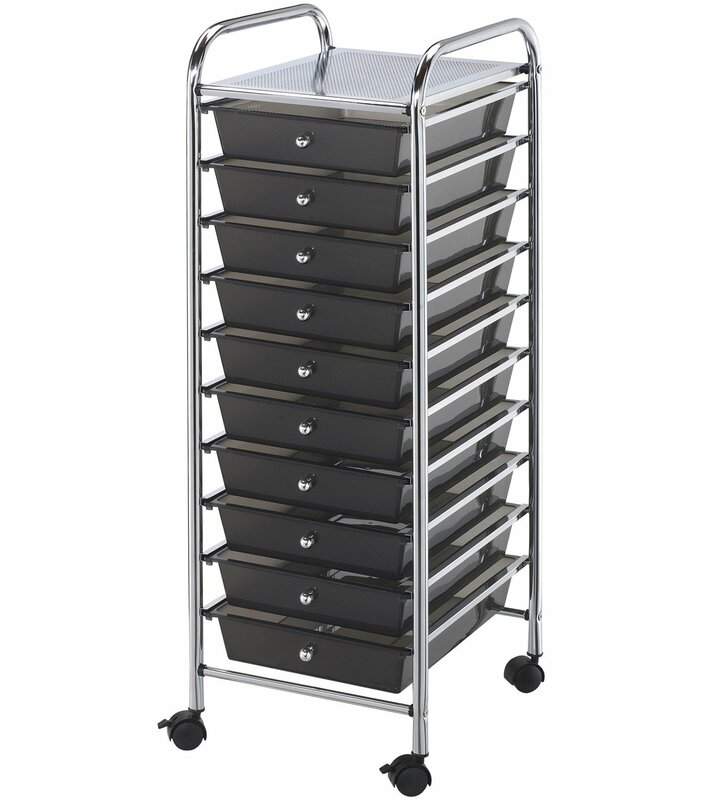 Blue Hills Studio Storage Cart with 10 Drawers, 13-Inch by 38-Inch by 15-1/2-Inch, Smoke Great way to organize and store your sewing supplies and tools. First decide how much space you can use for your sewing storage supplies. 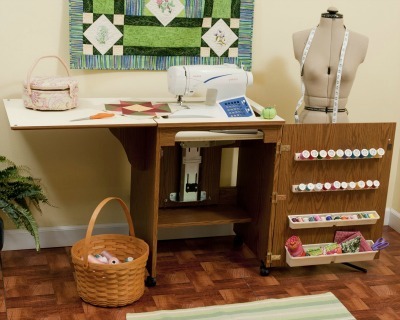 Do you have a sewing room, with lots of room for your sewing stuff? Or, do you have a small corner or even just part of a closet to store your things? 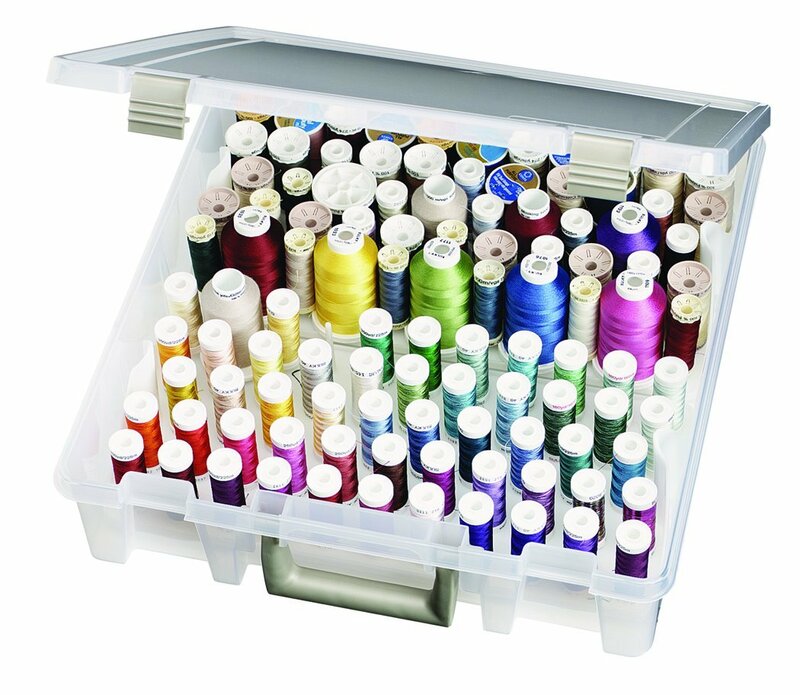 The amount of space that you have allocated to sewing will determine how large your sewing storage containers can be. Do you need to take your supplies from room to room? 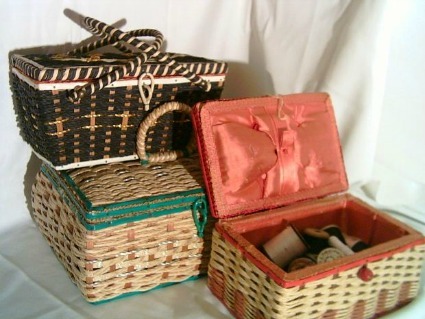 In that case, you’ll want to have portable sewing storage units or baskets. Some even come with handles. Do you need specialty containers? 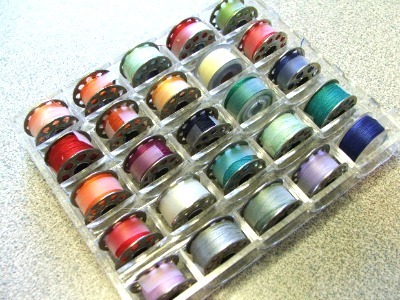 The bobbin holder above is quite handy for storing many different colors of bobbin thread. The colors are all visible at a glance, and you won’t have the frustration of searching, in a hurry, for the bobbin that you need. 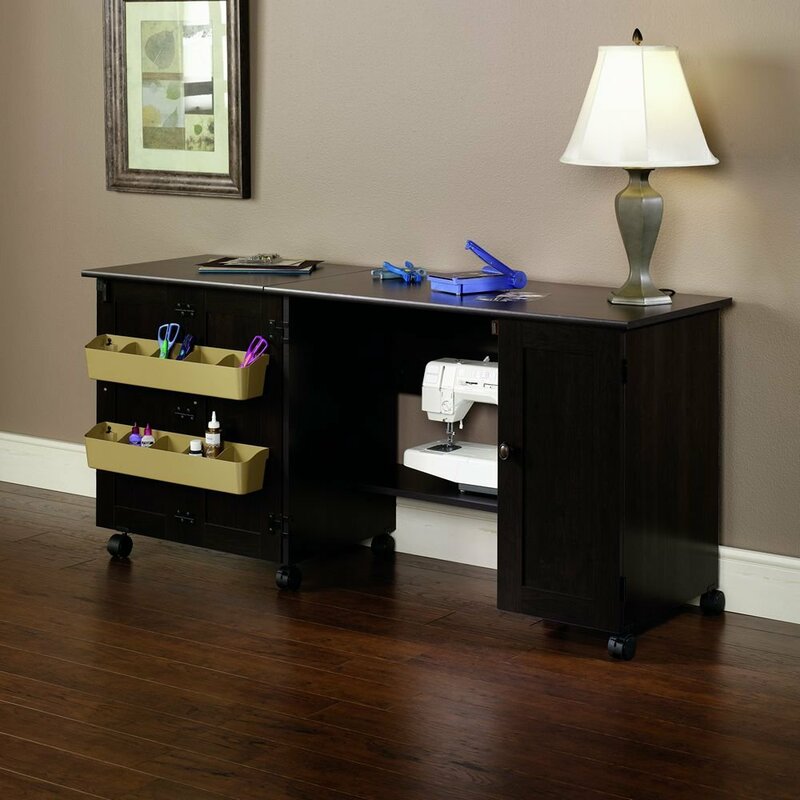 If you have lots of supplies to store, a little sewing storage cabinet or larger container may be your best choice. Sewing is lots of fun, but hunting for a particular item can make it a bit stressful. Give yourself a break and get your sewing organized. It will make your sewing a lot easier! Sew with Fleece the EASY Way! Don’t you just love fleece! It’s so soft and comfy. But, its softness and stretch sometimes make it a bit difficult to sew. Well, you can relax. This video course takes the mystery out of sewing with fleece and reveals the secrets of how to do it right. You’ll love the new projects that you make! Sign up now for this great fleece sewing video course.